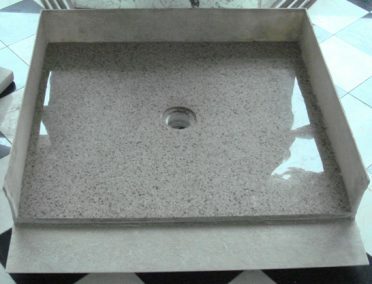 AR Shower Pans "We put the HOT in Hot Mop"
With 14 years in the hot mop industry, AR Shower Pans has hot mopped and waterproofed for contractors and home owners all over California. We offer our services in Waterproof shower pan, Decks, Flat roofs, Stairwells, Planters, Hot Mopping. We have the most experienced and most knowledgeable moppers in the industry, who offer the highest quality of work. Here at AR Shower Pans, we guarantee your hot mop will pass inspection every time. Contact one of our southern California offices today to have a representative assist you with any questions or next day scheduling. Waterproofing room such as your kitchen and bathroom are essential, as moisture can lead to mold and damage your property – especially if unnoticed. Hot mopping is the best way to provide a water proof seal to your showers. Showers are particularly susceptible to moisture infiltration, and need to be sealed effectively to ensure they are waterproof. 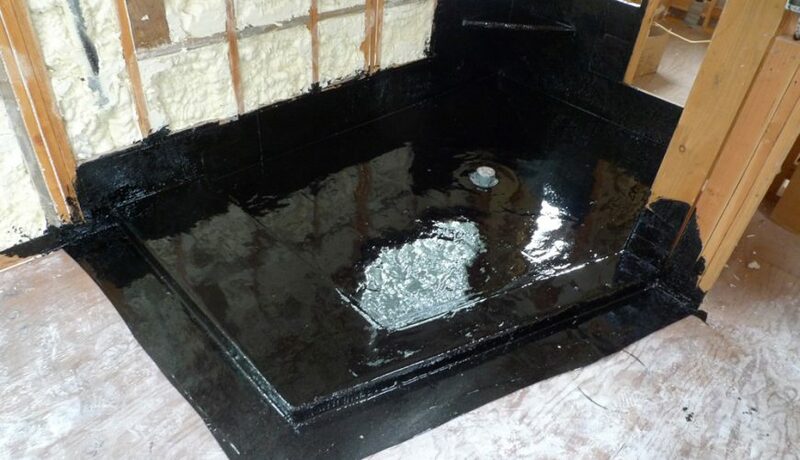 Why shower waterproofing is important ? When these all-too-common mistakes occur, standing water gets trapped in the shower pan below the tile level. The shower floor tile and grout will appear to dry in 24 hours, but if your shower was improperly constructed, the 1.5 inches or more of deck mud under the shower floor tile will never dry. Eventually, the moisture will start wicking up the walls behind the tile, and you’ll see mold lines at the wall-to-floor transition, on the curb and even in recessed niches if they’re exposed to enough direct water. If you are considering a tile shower installation, make sure your installer outlines a waterproofing plan. Research this plan, and make sure you’re comfortable with it. Insist your shower pan be flood tested prior to installing any tile. If the water level drops in 24 hours or moisture is visible above the water line, do not let your installer proceed until this issue is resolved. However, the downside of these, Rubin warns, is water pressure. As with big showers, many customers choose walk-in showers for convenience and ease of cleaning. A “AR shower pans” is unique & special design of bathroom showers. It has a one of the best and quality materials in our company.